The Milwaukee Brewers traded relief pitcher Tyler Thornburg to the Boston Red Sox on Tuesday, in exchange for major-league infielder Travis Shaw and two prospects, infielder Mauricio Dubon and pitcher Josh Pennington. Thornburg went 14-9 with a 2.87 ERA, 13 saves, 220 strikeouts and 91 walks in 219.2 innings (144 games/10 starts) over five MLB seasons with the Brewers. He was a starting pitcher for the Wisconsin Timber Rattlers in 2011, going 7-0 with a 1.57 ERA, 76 strikeouts and 25 walks in 68.2 innings (12 starts) before being promoted to High-A mid-season. Brewers general manager David Stearns said Pennington could start the 2017 season with the Timber Rattlers or the High-A Carolina Mudcats (as reported by Tom Haudricourt, Brewers beat writer for the Milwaukee Journal Sentinel). Pennington spent the 2016 season with the Lowell Spinners of the short-season New York-Penn League. He went 5-3 with a 2.86 ERA, 49 strikeouts and 27 walks in 56.2 innings (13 starts). Former Midwest Leaguers Mitch Moreland and Carlos Gomez each reportedly agreed to new one-year deals Tuesday. Moreland reportedly is joining the Red Sox after spending the first seven years of his MLB career with the Texas Rangers. He spent the 2008 season with the Clinton LumberKings, who were affiliated with the Rangers at that time. Moreland batted .324 with 18 HR and 99 RBI in 123 Midwest League games. His Clinton teammates included pitchers Neftali Feliz (6-3, 2.52 ERA, 106 Ks in 82 IP) and Derek Holland (7-0, 2.40 ERA, 91 Ks in 93.2 IP). Gomez reportedly will return to the Rangers next year after finishing the 2016 season with the team. 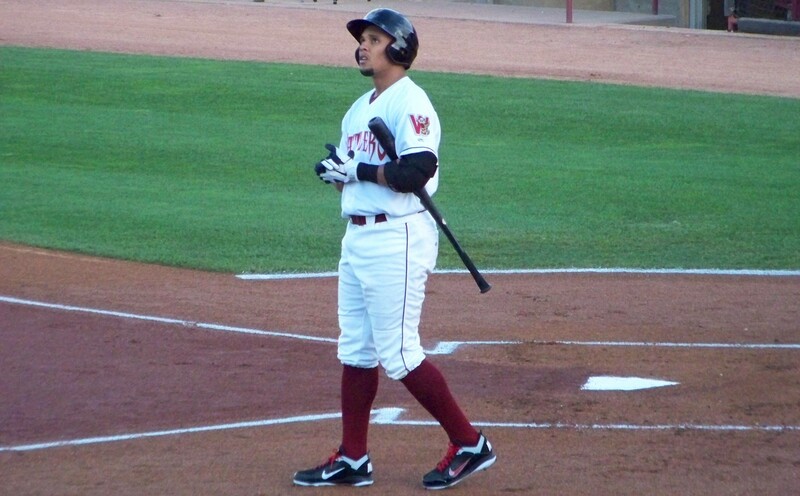 He didn’t play in the Midwest League as a minor-leaguer, but rehabbed with the Timber Rattlers several times, in 2010, 2011 and 2012. This entry was posted in Carolina League, Carolina Mudcats, Clinton LumberKings, Lowell Spinners, Midwest League, New York-Penn League, Wisconsin Timber Rattlers. Bookmark the permalink.